The Empire has always been proud of it’s allied corporations and factions. Their devotion to the cause and their willingness to succeed has always been what sets apart Imperial allies from others. The Empire’s power and influence is far reaching. However, behind closed doors worrying cracks had recently been appearing. Many long standing Imperial corporations have weakened over time and have a become a shadow of their former glory, at times this is through poor long term strategic management. In other cases, and of a much greater concern to the Empire, is the intentional sabotage of Imperial Corporations through espionage. Intercepted data transmissions have shown direct ties between several failing Imperial allies and Federal agents. Despite their best efforts to stabilize such corporations through diplomacy and economic manipulation, the Imperial Senate has remained at a loss of how best to deal with the situation. Senator Patreus, aware of the indecision in the senate and the personal financial risk he was exposed to due to his many investments in imperial corporations sought a quick solution. As a senator he couldn’t risk getting involved in every corporation he had investments in as that would quickly turn into a PR disaster. Instead he turned to the Pilots Federation and in particular a small group of heavily armed Imperial traders he had become aware of operating in Imperial space. CMDR DaMorgs, leader of unnamed group of heavily armed traders, is summoned to see Senator Patreus. Senator Patreus expedites the Imperial grant of rights on Angeli Imperial a new umbrella corporation registered in Achenar owned equally by a group of wealthy Imperial Pilots Federation CMDRs including CMDR DaMorgs. 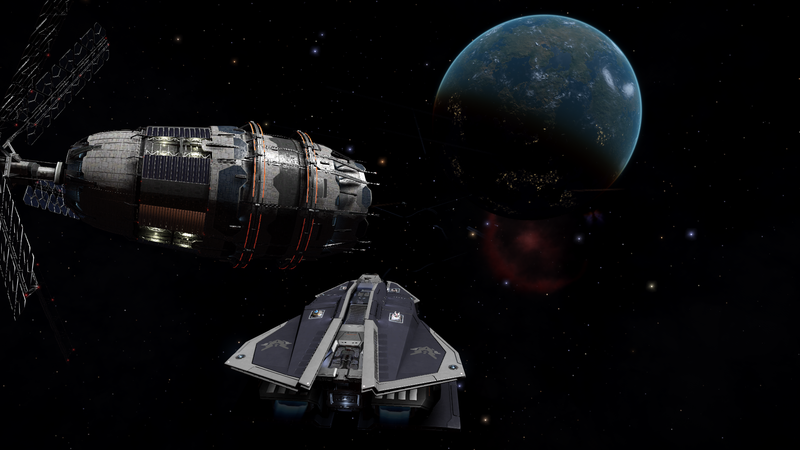 Full directional control is handed to CMDR DaMorgs who is appointed CEO of the new venture. Wangal Energy Partners, a 150yo Energy Corporation is on the brink of collapse even though external factors indicate profits should be soaring. It appears WEP has been compromised internally and sources point to Purple Federal Orgaisation interference. Employees of Wangal Energy Partners arrive at work to news of a corporate takeover are stunned to see the entire top level management team retrenched and a small fleet of the “Angels of the Empire” at Vries Orbital in the Wangal system to take up the running of the company. Local elections are held in Reed Port, the population inspired by Wangal Energy Partners success in Vries Orbital vote to appoint a WEP leader and the station a long time Allied Wangal Dominion stronghold transitions bloodlessly into Wangal Energy Partnerscontrol. News has reached the Achenar financial markets that Angeli Imperial has completed the acquisition of a further corporation increasing their stable of holdings to 2. Following the acquisition of Wangal Energy Partners in January 3301, Angeli Imperial have today added Shongastyak United Incorporated Shongastyak is a former imperial mining system that fell under the control of a pirate faction called the Crimson Society. Lacking any official government the system has devolved into anarchy and its tiny population has long been petitioning the Empire to break their bonds of enforced slavery. CEO CMDR DaMorgs released this comment “As the wings of the angels spread, so shall the might of the Empire”, sources say he’d had half a bottle of Lavian Brandy at the time and aren’t sure what he was talking about. CEO CMDR DaMorgs, the Angeli Imperial controlled Shongastyak United Incorporated and the rest of the Angeli Imperial CMDRs launch a final assault in an effort to eradicate the final Crimson Society pirates and retake control of the system for the Empire. The 3 day long campaign results in a victory for them Empire and Shongastyak returns under Empire and Angeli Imperial control. News has reached the Achenar financial markets that Angeli Imperial has completed the acquisition of a further corporation increasing their stable of holdings to 3. Following the acquisition of Wangal Energy Partners in January 3301 and Shongastyak United Incorporated in February 3301, Angeli Imperial have today added Guan Yun Corporation to their portfolio. In a surprise move by the federation, Union of Guan Yun Democrats launched an offensive to try and quell the upswing of Imperial support in their outpost at Wylie Dock. In retaliation against the Federal oppression of Imperial citizens, CEO CMDR DaMorgs led the Angeli and the Empire backed Guan Yun Corporation into action to protect the vulnerable resulting in Civil War in Guan Yun. After much bloody fighting the Guan Yun Corporation emerged victorious with the Federation ceding the outpost to the Empire. After a grueling 6 day campaign, the forces of the Angeli Imperial came out victorious in the Guan Yun System. The AI poured all it’s might into the fight, demonstrating again the brute force of the Empire. Hail the Emperor!! Finally, after months of negotiations, Wangal Energy Partners managed to expand into the neighboring system of Shongostyak. In an unprecedented move, the Angeli Imperial CEO, CMDR DaMorgs presented his resignation as CEO. Mr Argon Armrend will take over the position moving forward. The new CEO for the Angeli Imperial has been announced, the particularly unknown Argon Armrend. The first action of new CEO for the Angeli Imperial, Argon Armrend was to adquire the corporation “Blue Legal Partners” in HIP 18187 after he was informed of the opening by Senator Patreus. The forces of Senator Patreus arrive at Wangal after signing an Alliance with the AI. After weeks of negotiations, Wangal Energy Partners has opened operations in both outposts in the Andr system. Further extending the reach and increasing it value in the stock market.